Imagine a large mining site with a processing plant, power station, water plant, office buildings, dormitories, dining areas, gymnasium and swimming pool, and even a seaport and airport. Such a facility is in reality a small town — fully equipped with everything the working staff might need. Governments and leading enterprises around the world are exploring Smart City — but what if the mining areas also have requirements to adapt to the era’s development for conducting digital transformation? 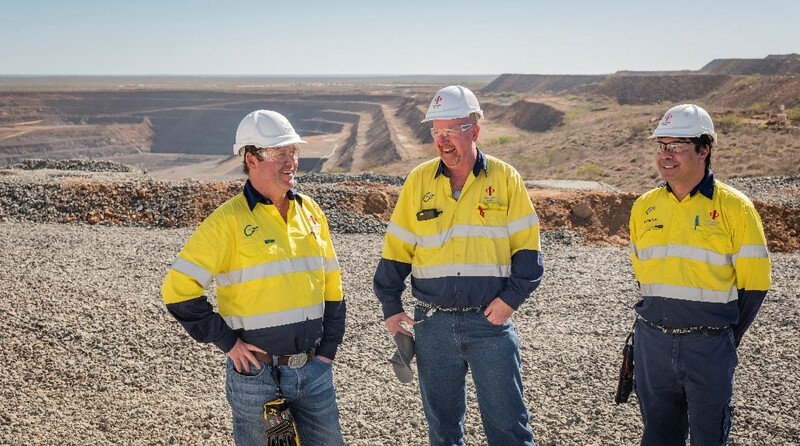 In Australia, CITIC Pacific Mining (CPM) and Huawei are exploring how to capitalize on digital platforms in order to affect their digital transformation strategy. Headquartered in Perth, the capital of Western Australia, CPM is a wholly owned subsidiary of CITIC Limited, a Hong Kong-based conglomerate holding company. 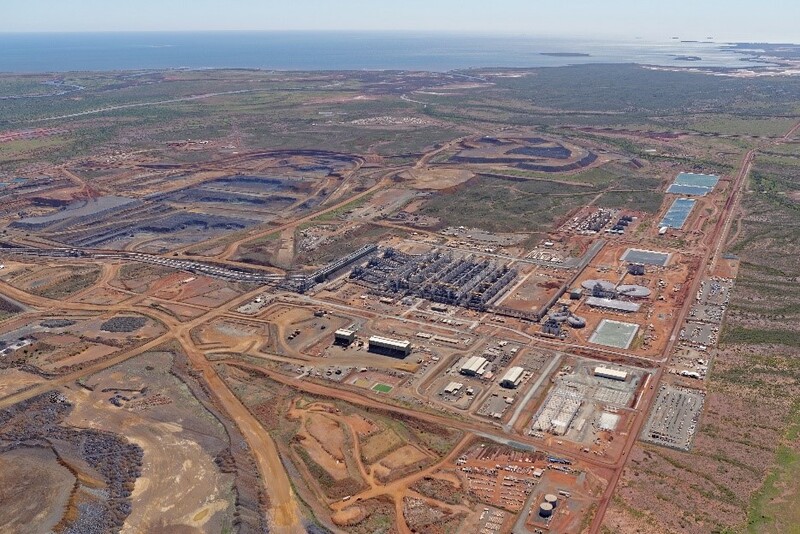 CPM is responsible for the management, construction, and operation of the Sino Iron project at Cape Preston, located 100km southwest of Karratha in the Pilbara region of Western Australia. Sino Iron includes mining, processing, and port operations that provide high-quality magnetite concentrate for CITIC Pacific Special Steel and other Chinese steel plants. It is already the largest seaborne supplier of magnetite concentrate to China. Underwritten by investments that exceed USD 12 billion (AUD 16 billion), and with six stable processing lines, Sino Iron is one of the largest magnetite mining and operation projects in the world. Sino Iron employs many advanced technologies and facilities, including large excavation equipment, a 480-megawatt combined-cycle gas power station, a 51-billion-liter seawater desalination plant, and a port at Cape Preston, about 40km from the mine and processing facilities. Through investment in downstream processes, the project provides numerous job opportunities and cross-border technology transfers, adding significant economic value to Western Australia. Deloitte Access Economics estimates more than $AUD100 billion will be generated in export earnings for Australia over the life of the project, and expenditure of more than $AUD51 billion on goods and services within Western Australia alone. By mid 2016, processing lines 3-6 were up and running – six months ahead of schedule and well under budget. That year about 11 million tonnes of high-grade (65% Fe) was shipped to China. In 2017, this figure jumped to 17 million tonnes and in 2018 production rates will be even higher. The focus now turns to lowering operating costs and placing the project on a long-term sustainable footing. It is for good reason that a core goal for CPM is to reduce labor costs and improve operational efficiency, which, in turn, will lead to higher revenues. There is no doubt that digital technologies, such as new ICT, will invigorate the company’s efficient operations, including the deployment of new data centers, as well as office and production networks. Production networks are closely related to production efficiency. CPM focused on end-to-end process control and hoped to solve communication connection problems, such as those in its truck dispatching system and remote port communication. In addition, the company’s focus included implementing LTE connections for service modules in other production phases, further implementing the Internet of Things (IoT), and resolving production security issues. The construction of campus networks in office and living areas will also be an important step toward improving efficiency. The original network devices — most having been deployed in 2008 and 2009 — needed updating because they were old with no original production service. CPM planned to gradually upgrade its data centers and network devices to simplify network management, improve Information Technology (IT) operational efficiency, enhance network security, and improve network experiences for offices and living entertainment. Huawei offered a family of powerful digital platforms for CPM’s production and campus networks, such as the eLTE industry wireless private network, cloud data center, and smart campus. Huawei implemented direct connections to core mining services, and IT and Operational Technology (OT) integration, making the communication among offices, living quarters, and production sites more efficient. Finally, CPM chose Huawei, and the two signed a Memorandum of Understanding (MOU) for strategic cooperation in November 2016, to address major projects such as truck dispatching LTE, port communication LTE, and urban data center and mining-area data center upgrades. Sino Iron practices traditional open-pit mining techniques for magnetite mining that uses drilling, blasting, and some of the world’s largest excavators and transportation vehicles. Unified dispatching for production vehicles in the mining area, such as dump trucks and excavators, is required to ensure efficient mineral exploration, loading, and transportation. The traditional wireless networking had coverage limitations. Access Point (AP) locations needed to be adjusted frequently based on changing topographical levels in open-pit mining areas. This activity resulted in high Operations and Maintenance (O&M) costs. Data transmission was vulnerable to interference and unstable, affecting the efficiency of mineral exploration, loading, and transportation. Production scheduling required effective collaboration among on-site workers and production units. Legacy narrowband voice resources had insufficient bandwidth and provided only voice-based production scheduling rather than unified voice-video scheduling. The network could not communicate with other production networks, such as truck dispatching. Multiple networks coexisted in the mining area, resulting in suboptimal construction and maintenance costs. 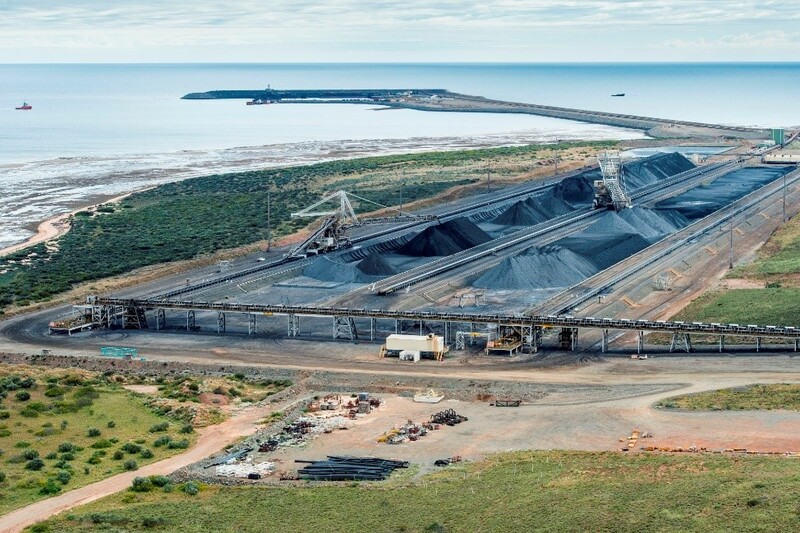 Port Preston is the first port built in the Pilbara region in 40 years, where CPM’s magnetite concentrate is transshipped to ocean-going vessels at offshore moorings. The requirements of ports were similar to those of mining areas, including real-time performance, reliability, converged data transmission, and easy maintenance. A primary use of the communications network is for port remote data transmission and truck dispatching systems. Additionally, the network will also carry Closed-Circuit Television (CCTV), the IoT, and Supervisory Control and Data Acquisition (SCADA) data backhaul in the future. Huawei’s eLTE solution can be used flexibly on licensed and unlicensed spectrum. The wide coverage of the eLTE platform reduces the footprints and investment costs for base station, and improves anti-interference capabilities against co-channel interference. Handover delay is low, with zero packet loss, to ensure an always-online signal for truck dispatch. The benefits of high system throughput and low delay are realized in CPM’s dense-terminal scenarios. Differentiated scheduling based on service priority safeguards the availability of key services like truck dispatching, production scheduling, and video services. Bidirectional authentication prevents network attacks and protects core data security. Huawei’s eLTE solution implements seamless Wide Area Network (WAN) coverage for truck dispatching, and eliminates the need to routinely relocate base-stations. The unified delivery of stable and reliable dispatching information improves loading efficiency of dump trucks and excavators. For production scheduling, video, data, and voice services are also carried in a unified manner that includes rich and visualized onsite information — a combination that improves unit-collaboration efficiency. One network carries multiple services, such as video surveillance, truck dispatching, and production scheduling, which together are expected to save 30 percent in operating costs. With further major changes expected in the mining environment, Huawei can help improve the eLTE signal strength and the coverage range to ensure operational continuity. CPM will gradually upgrade its data centers and Wi-Fi network. Based on innovative chips, hardware, and software, Huawei provides the most complete cloud data center solutions in the industry to meet CPM’s requirements and specifications for mining areas and urban data centers. Multiple products can be provided, such as the next-generation high-performance CloudEngine 12800 series core switches for data centers and high-end campuses, the high-performance CloudEngine 6810 box switch, the OceanStor S5500T for unified storage, the FusionServer E9000 blade server with a converged architecture. At the network equipment aspect, Huawei provides CloudEngine, USG Next-Generation Firewall (NGFW), and other devices that feature open architectures, standard network control protocols, and standard interfaces. At the controller aspect, Huawei deploys its Software Defined Network (SDN) controller and Agile Controller based on the open-source architectures, such as Open Network Operating System (ONOS) and OpenDaylight (ODL). Huawei also developed the data center network that supports linkage with virtual platforms and evolution towards cloud-network collaboration. These solutions are helping CPM simplify its data center infrastructure and are planned to support the expansion over 10 years. The solutions’ advanced architecture, high performance, and rich functions would ensure data center reliability and increase the efficiency of problem solving. In addition, Huawei’s one-stop solution reduces project risks and increases Return on Investment (ROI). Huawei’s Wi-Fi solution will enable seamless roaming throughout mining, residential, and office areas with network access anytime and anywhere. In addition to improving office efficiency, the system lets employees contact the outside world during their leisure time. From an industry development perspective, the digitalization of intensive mechanized operations like mining is still in the early stages, but is already showing the potential to raise profits through greater efficiency. In response to urgent demand, CPM provides a springboard for cooperation with Huawei, and Huawei provides a large digital platform suitable to CPM’s ICT explorations. Both parties will collaboratively continue to explore smart mining area development, and act as a reference for the digitalization and intelligentization of Australia’s mining industry.